Hey, that&apos;s Canadian model Dauphine McKee on the left. She&apos;s with the Elmer Olsen agency in Toronto, and just a couple of months ago she won a 2013 P&G Beauty and Grooming Award as Best Next Face. She&apos;s started her year off nicely, hasn&apos;t she? 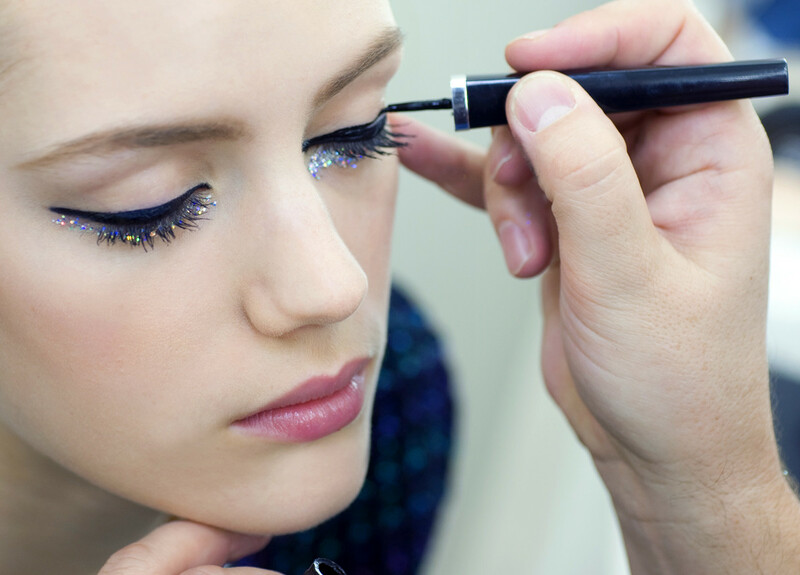 Now let&apos;s talk about those sparkling Chanel sequin eyes from the Chanel Spring-Summer 2014 Haute Couture runway. 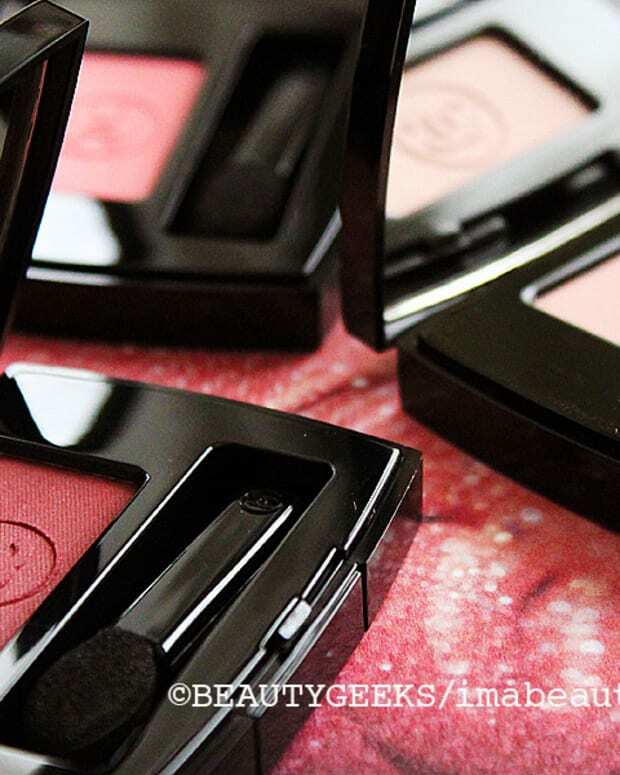 It&apos;s like frost, created by makeup artists rather than the polar vortex. Never have we wanted to wear glitter more. 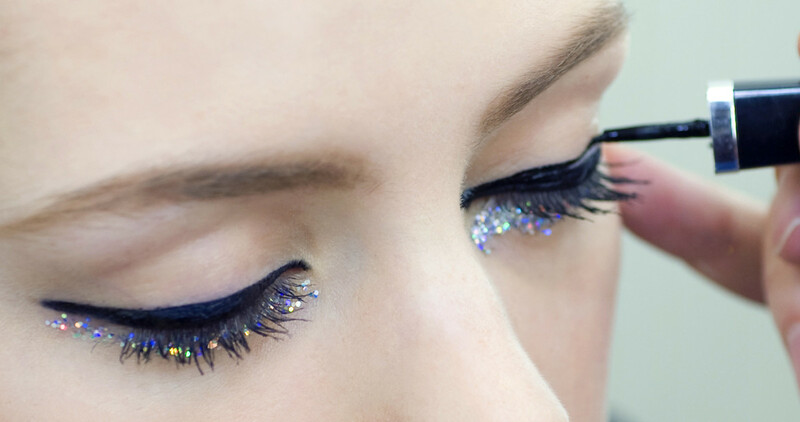 Actually, never have we wanted to wear glitter ever. 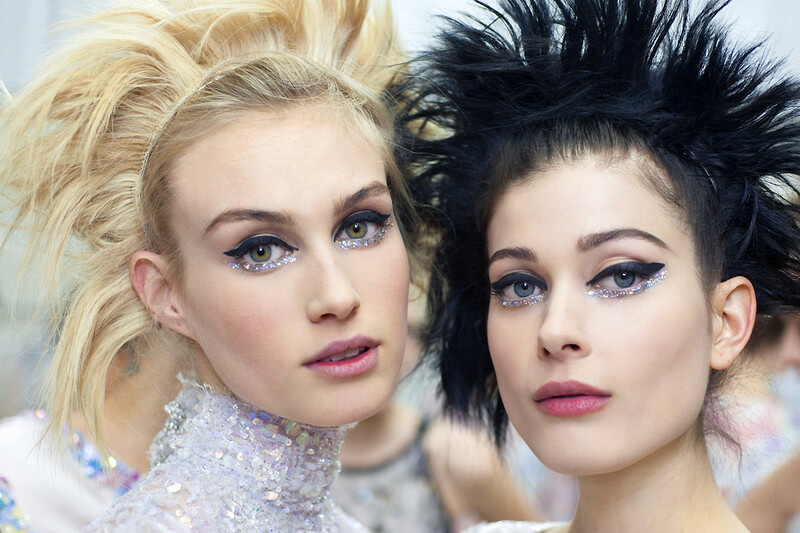 But now, thanks to these Chanel sequin eyes... who cares that we&apos;re older than 40? Well, Cranky Beauty Pants isn&apos;t quite. But whatever. We love the look with that graphic stroke of liquid liner. These Chanel sequin eyes were the makeup stars of the fashion house&apos;s Spring-Summer 2014 Haute Couture runway show earlier this week. 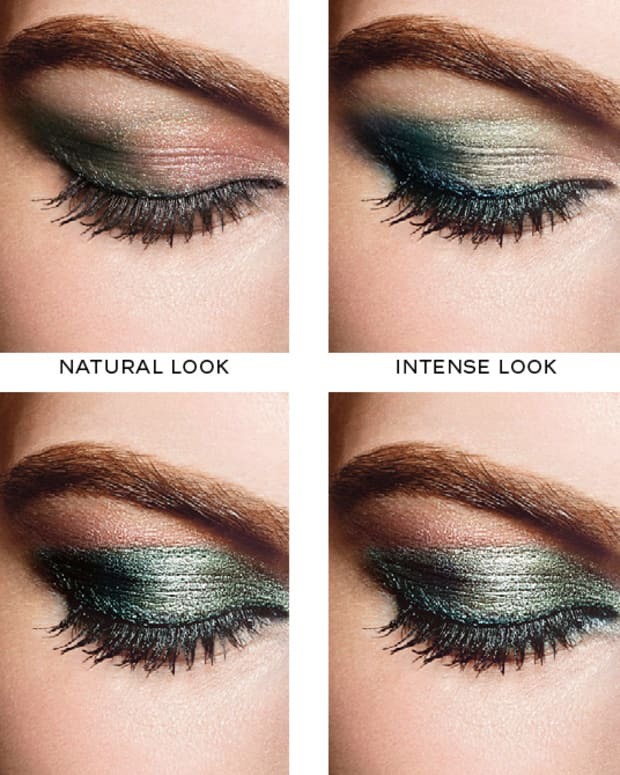 Read on for the lowdown on this glitterati gaze. And note that in the above photo, the makeup artist is building the liquid line stroke by stroke, not in one continuous sweep. You&apos;ll see in the close ups. Gorgeous, right? Just need an occasion or place to wear it. Like maybe brunch on Saturday. Or brunch on Sunday. Or a Grammy Awards evening at a friend&apos;s house. Would you try this, ever? Ever, ever?? 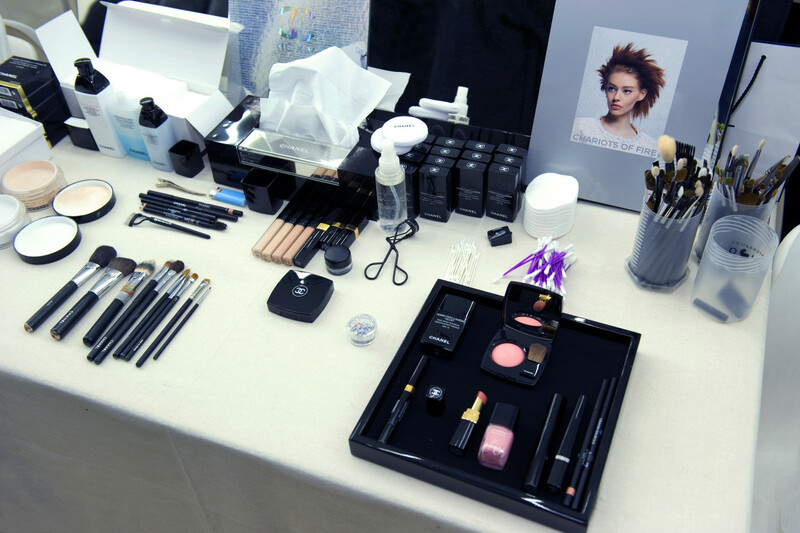 2014 Spring-Summer Chanel Haute Couture Show Backstage. Makeup Chanel. 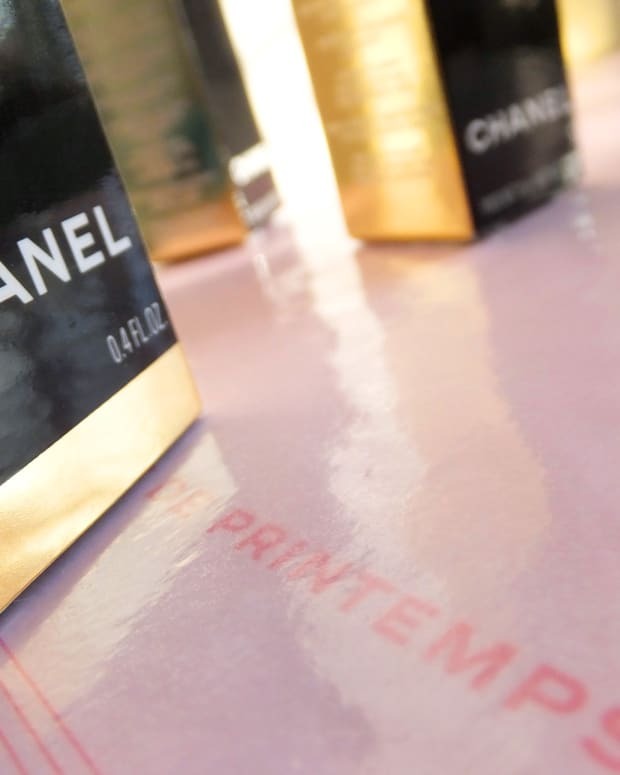 © Chanel 2014. Photos Vincent Lappartient.